Breaking Dawn Part 2 Blu-Ray. Robert Pattinson and Kristen Stewart close out the Twilight Saga. 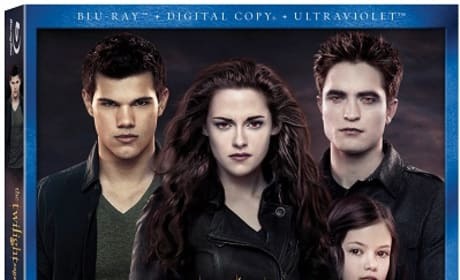 The Blu-ray DVD cover for Breaking Dawn Part 2. The film hits store shelves March 2. Kristen Stewart learns her new powers in Breaking Dawn Part 2. Her character Bella is now a vampire. 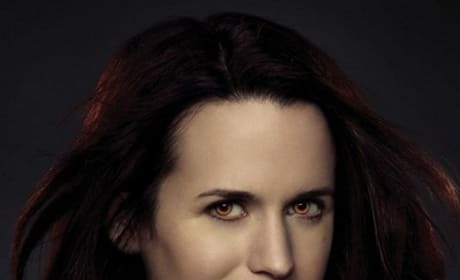 Elizabeth Reasner stars in Breaking Dawn Part 2. The film arrives November 16. Elizabeth Reasner in Breaking Dawn Part 2. The actress dishes exclusively the end of Twilight. Taylor Lautner stars in Breaking Dawn Part 2. The actor talks closing the Twilight Saga. 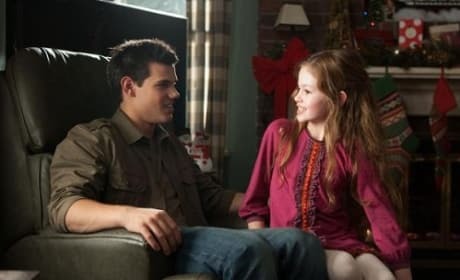 McKenzie Foy and Taylor Lautner in Breaking Dawn Part 2. 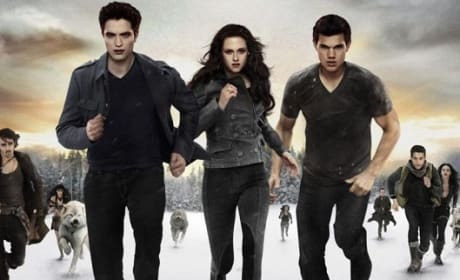 The final chapter of the Twilight movie lands November 16. Taylor Lautner stars in Breaking Dawn Part 2. 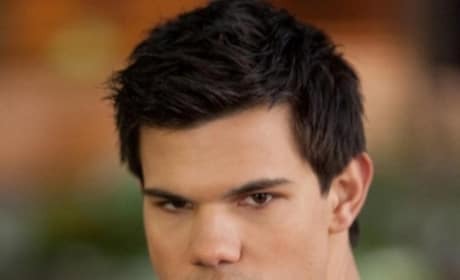 Lautner is playing Jacob for the last time.